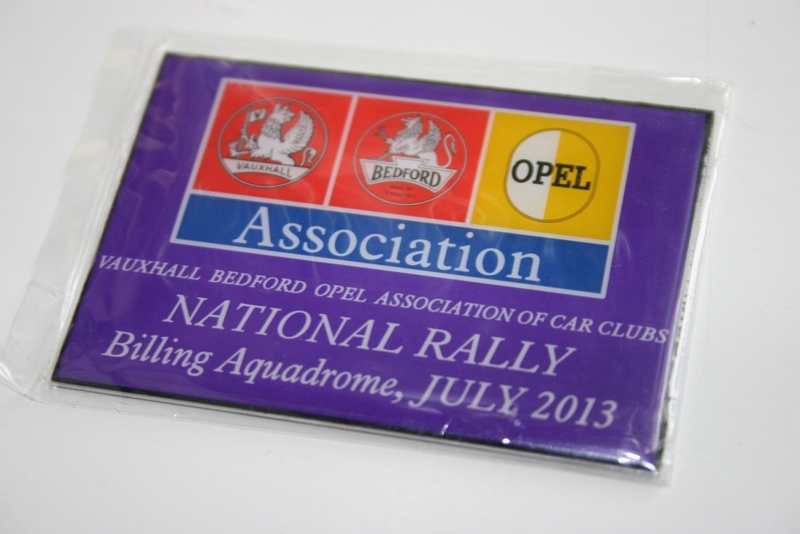 Last weekend saw the 2013 Vauxhall Bedford Owners Association (VBOA) all car club rally take place at Billing Aquadrome in Northampton. Bearing in mind that last year’s event was a complete washout, the weather was truly amazing for this one. I made my way to Billing and arrived at around 10:30am to enjoy about three hours of blazing sunshine, beautiful vehicles, some good conversation, a little ‘souvenir’ shopping (including the essential event plaque) and much photo taking. This rally is like an annual pilgrimage for me, I haven’t missed one since my first outing in 1996 (BTW I am missing a plaque from that year if anyone has a spare one). As soon as the date for the following year is known, it is inked into the calendar and Mrs Baldwin knows not to arrange conflicting appointments. Given that I have been thoroughly aggrieved of late by car trouble, you might think that would take the shine off of a car event but no, I was able to wander around and appreciate (and covet for that matter) many of the automobiles on show. 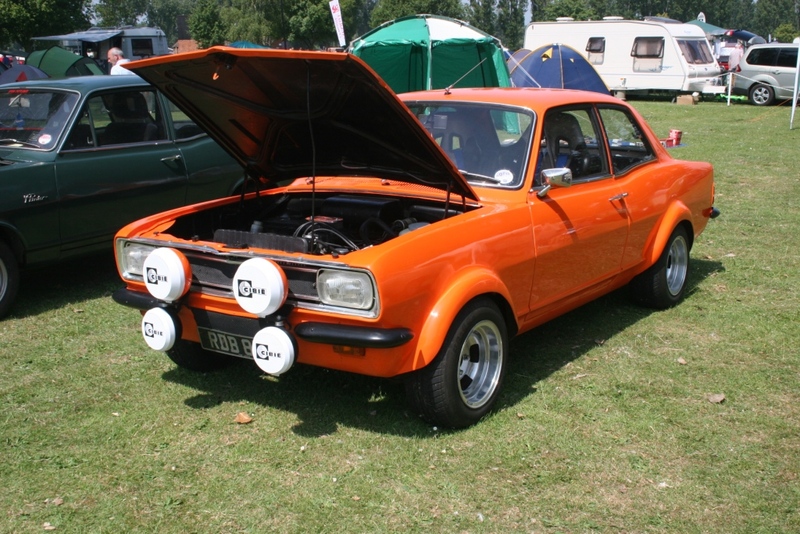 I know that owning a classic (code speak for ‘old’ and often ‘knackered’) car is an emotional rollercoaster ride because they need constant fettling, are rarely as reliable as you require, they absorb much of your hard earned cash and perform well below the standards of a modern motor! 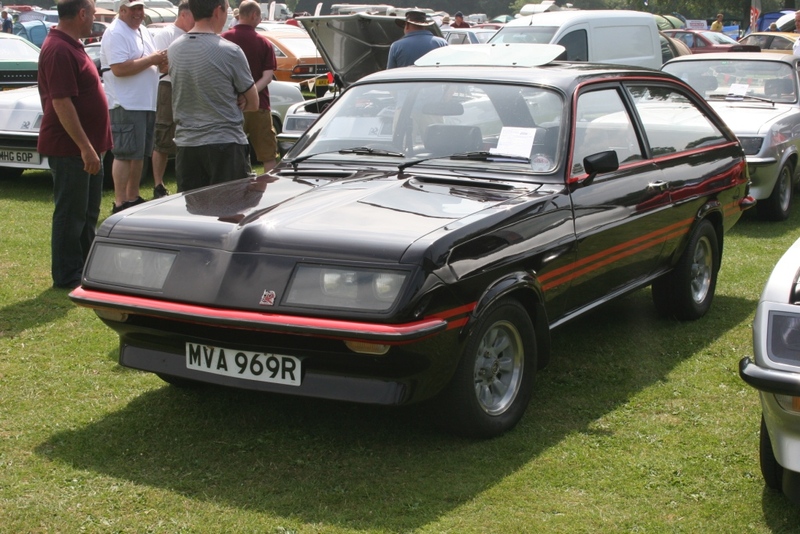 But of all the cars I have owned and run over the years, it’s the Vauxhall Vivas and Firenzas that I miss the most (and would love to own again). 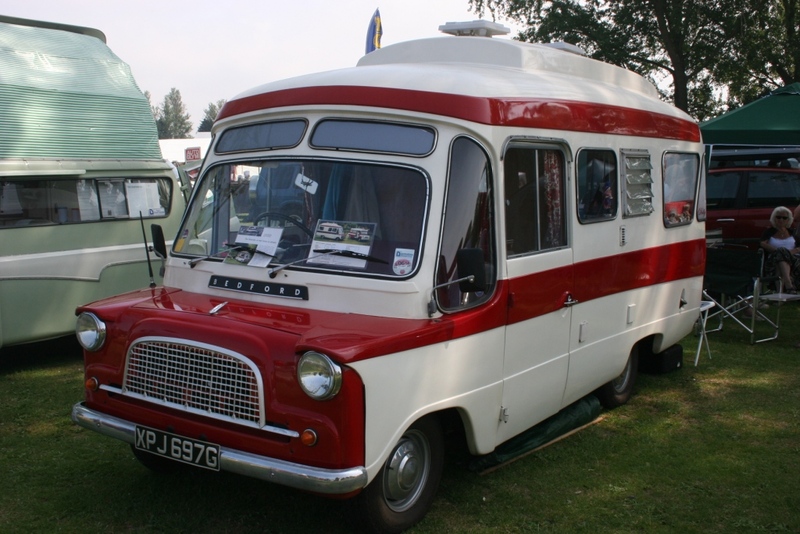 Being sensible and practical though, I have avoided buying into another classic car because the time is not right and the funds required are not really justifiable. As parts get harder and harder to source, and as my mechanical skills get more and more rusty, common sense encourages me to satisfy my desires vicariously. 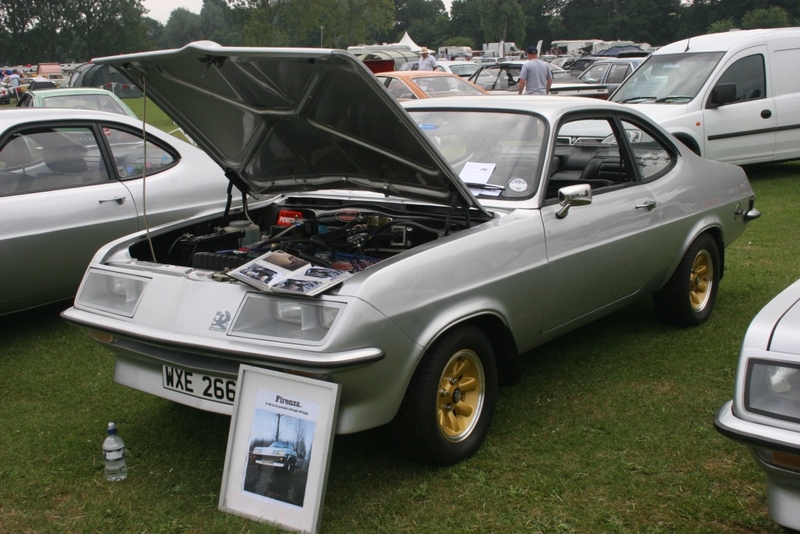 A once a year car show is the way I get my injection of seventies vehicular nostalgia – believe me appreciating the fruits of others’ labour is much cheaper and less stressful than owning my own classic. At the Billing event, the fields are laid out so that the various Vauxhall/Opel/Bedford car clubs have their own spaces. There is an auto-jumblers area (like a car boot sale where you could actually buy a car boot, or other body panels for that matter), a catering area and then the central display ring where cars are brought in by their owners to do a slow circuit under the watchful and highly knowledgeable eye of the compere and public announcement ‘voice of the show’ - Ian Coomber, an ex-Vauxhall director and certified petrol-head! 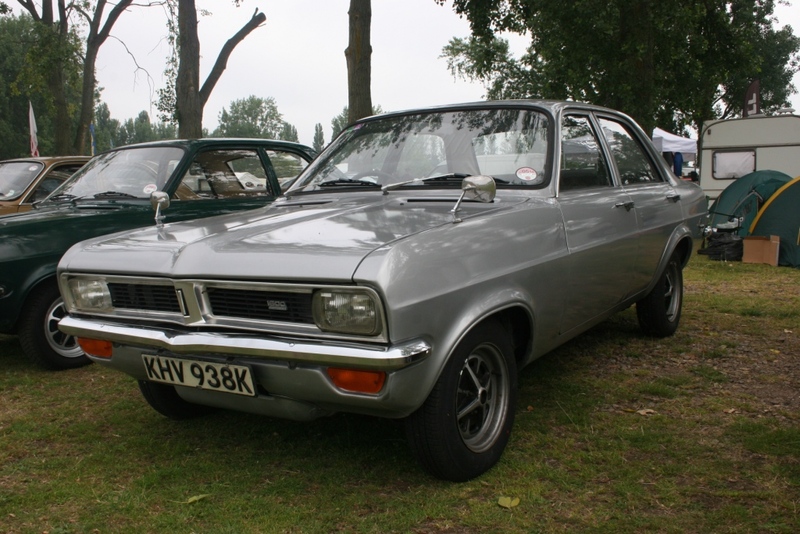 I wandered around most of the clubs but the following deserve a special mention - The Vauxhall Viva Owners’ Club, The Droop Snoot Group (DSG) and the Opel Manta Owners’ Club. The first two I have actually been a member of and know a number of the people and their cars. I took photos as I strolled around and have attached a selection for your enjoyment. I hope you like them! Even as I upload these shots, I am looking forward to 2014. Regarding the vehicles pictured; much respect goes to Paul Dickinson of the DSG for his restoration of droop snoot WXE266M (pictured). 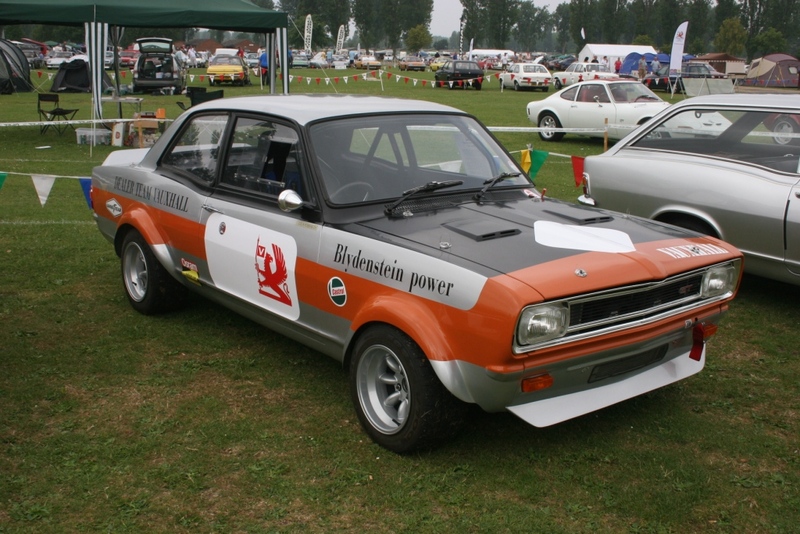 This vehicle was featured in the Vauxhall advertising of the time and therefore has some additional historic status (although only 204 were ever produced and they all have historic significance as a result, there are a handful of ‘M’ plate cars that are even more desirable thanks to their provenance and/or racing history). Paul rescued his snoot when it was in a truly shocking state – I looked at the photographs of it and can tell you that he was a very brave man for taking it on. This wasn’t a project for the faint hearted; in fact Paul told me that he was genuinely worried that the car would be pulled apart by the efforts to dislodge it from its almost final resting place! Still if anyone was going to perform miracles, a chap with detailed technical knowledge and full access to the DSG spares operations was going to be better placed than most! Even with a spotless and uprated car, he was suffering with alternator problems and had already taken the unit out of his car once over the show weekend! My earlier point about constant fettling, backed up by evidence at the show! 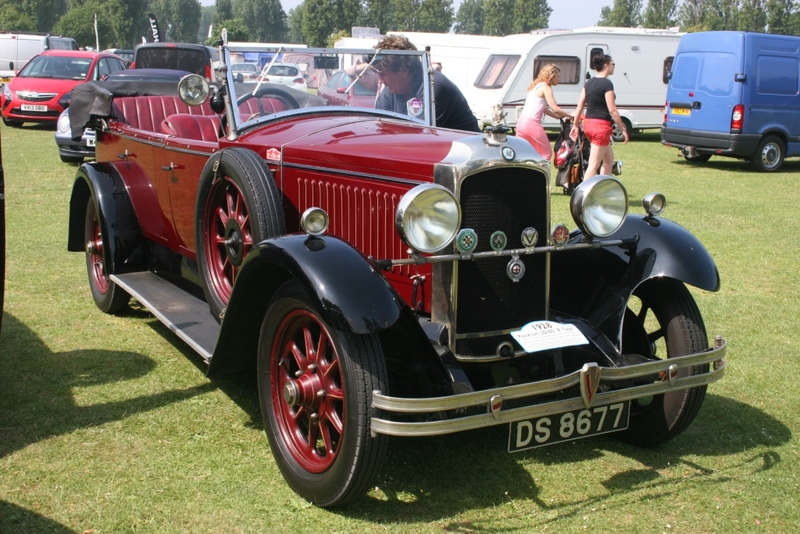 The veteran Vauxhall shown was marvellous, a 1928 20/60 ‘R’ type – it was driven to the show by its owners and had only just completed a tour of Sweden too. 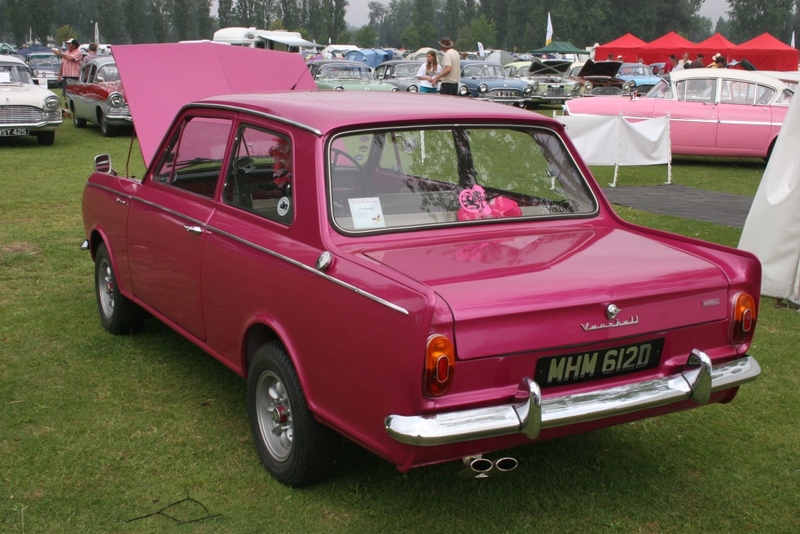 Their experience, even the most vintage of Vauxhalls can be reliable transportation! This car is old enough for me to need a lesson before being capable of driving it – various things to prime and to set before launch. At least the gear stick is inside the car! 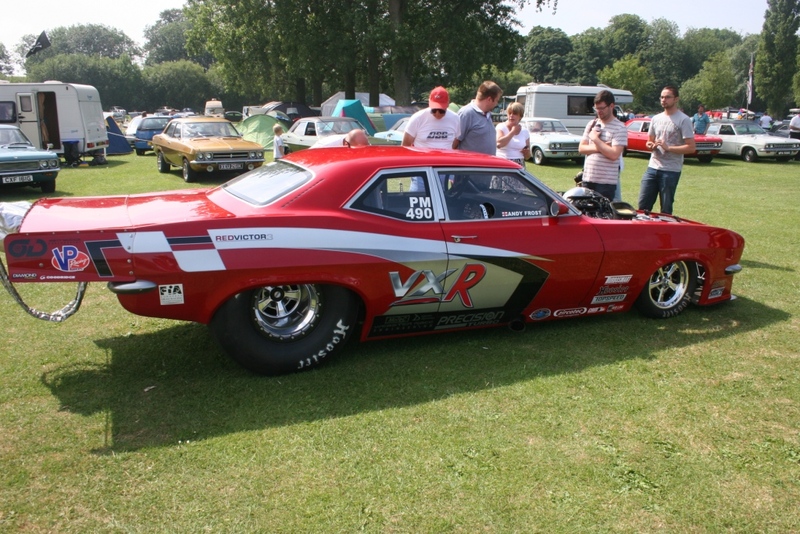 The FD based dragster had a crowd of people around it constantly – I am sure this monster was green last time I saw it! 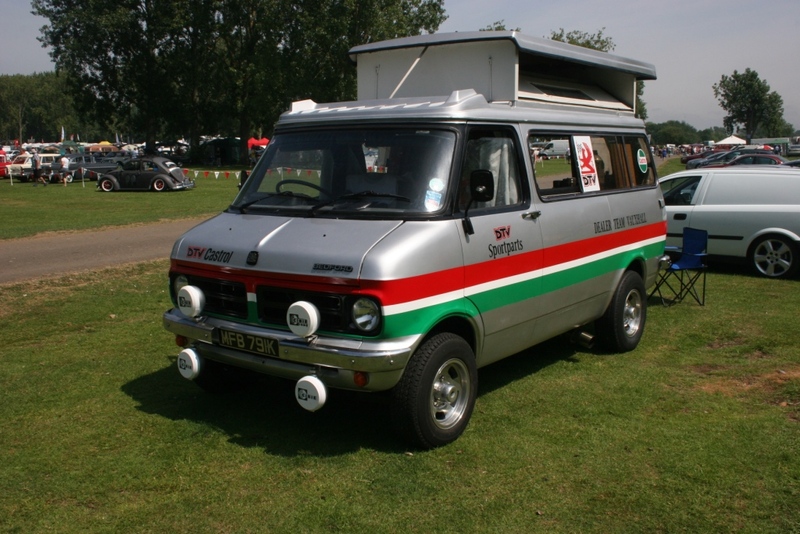 This one was clearly trailered in although it would have been entertaining to see it blasting down the A45. I have higher resolution versions of all the images below (along with many more for that matter). If you would like any emailed to you, get in touch and I'll be happy to help.